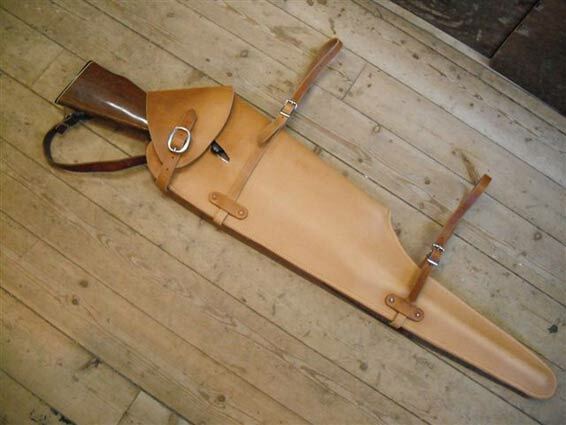 All gun scabbards are custom made to fit both you and your gun. Made of top grade leather in brown, dark brown, and black colors. They can be plain, border stamped, basket stamped, floral carved, or personalized with initials, names, brands etc. Lining can be smooth, suede, or sheep skin. Our goal is not only for you to have the best quality available but to have a finished product anyone would be proud to own. 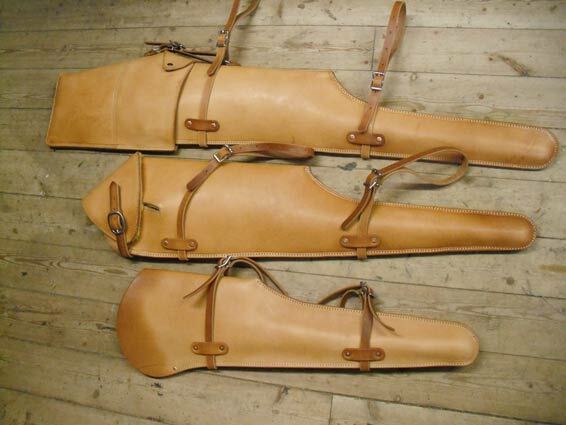 Here are some examples of our custom leather gun scabbards. Please contact us for pricing. Any questions or comments please contact us by phone during business hours or by e-mail and we will get back to you ASAP.